For safety reasons, always make sure that power to the unit is shut off before attempting furnace repair. From malfunctioning heating elements to dirty filters, figuring out why your electric heater isn’t working can be frustrating when you have little technical knowledge. 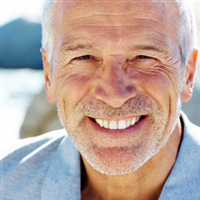 Fortunately, most issues are easy to diagnose once you pinpoint the symptoms. Rather than taking a haphazard approach, streamline your troubleshooting. Check the simplest issue first, and then move on to more complex tasks. Make sure the thermostat is set on “HEAT” and at least 3 - 5 degrees above the room temperature, then check for heat after the furnace comes on. Mechanical thermostats should have the fan switch in the on position. Digital thermostats run on batteries, so make sure they are replaced if needed. If you have checked the heat setting and changed the batteries, next try turning the power off and take the front section of the thermostat off from the back section (called the subbase). You will see the wiring. Find terminals marked R and W. Take the wires off and twist the metal ends together, then turn power back on. If the furnace now works, you have a bad thermostat and it will need replacement. Both power surges and electrical outages can trip circuit breakers or blow fuses. 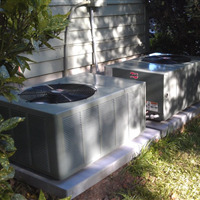 Most homes have the HVAC system or furnace on its own breaker. 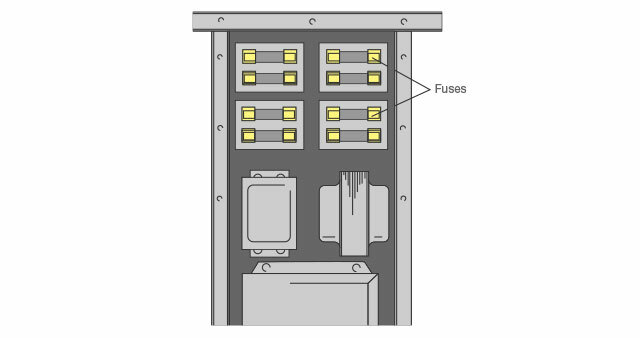 Some circuit breakers use fuses. While you’re checking the breaker panel, remove the fuse for that circuit and check to see if it is still functional. Replace the fuse if needed, then flip the tripped breaker back into the on position. If it is tripped, reset the circuit breaker. If it immediately trips again, it could be a bad component or dead short and you may need to call for service. If the unit still won’t turn on, you may have a blown fuse located in the unit. Before opening the furnace fuse box, you should flip the breaker switch to the off position and unplug it to avoid electrical shock. To determine if the fuse is blown, check for dark discoloration on one or both ends of the fuse. Once you have located the blown fuse, clean off the connections inside the fuse box prior to replacing with a new fuse. Insert the fuse in the proper slot of the fuse box or panel and reconnect the electricity. If you are not sure how to properly locate or change a fuse, contact an expert to guide you. Finally, check to see if your model has a reset button. Some electric furnaces must be reset after an electrical outage or a power surge overloads the furnace motor. Wait at least 30 minutes after the event, then press the reset button. Repeat this step up to two more times if needed. Once you have established that the unit has a clear power supply, target other problems to determine the underlying issue. When your electric furnace runs, but isn’t heating properly, it could be caused by several issues. Begin troubleshooting by checking thermostat settings and replacing batteries in digital models if needed. Poor airflow can indicate a dirty filter in the heating system. To change the filter, remove the access panel and hold the filter up to the light. If it looks clogged, replace it. Blocked ducts also cause the same issue. Pets and small children often delight in making objects disappear, so make sure there isn’t a hidden stash of puppy chews or building blocks in one of the ducts. If rugs or furniture are covering registers, it can affect warm air circulation as well. If the furnace seems to be running, but no air flow, check the blower. Is it turning, is it making noise? Check for a plugged filter, or on older furnaces, a broken belt. Spin the blower wheel. If it does not spin freely, it could be a bad motor and it will need replaced. Sometimes if the blower is working, but no heat is coming out, you may have a burned out heating element. You can usually take a panel off and inspect the heating elements, but be careful, these are high voltage. Make sure the power is off first. Look for signs of burned off wires or a heating element that is burned out. If you find these things, call for an HVAC pro. Finally, note the temperature of the air your furnace blower puts out. If it is only blowing cool air, you may have a faulty heating element. Call a furnace expert to have it replaced. If your furnace bangs, bumps, creaks or squeaks, you should check several different areas. First, see if the access panel is loose and fasten it correctly if necessary. Next, look at the fan belt. If it is worn or damaged, replace it. Use fan belt dressing to lubricate a noisy fan belt in good repair. An improperly adjusted blower belts can also cause odd noises. Make sure the belt isn’t too loose or too tight. Finally, the motor or blower assembly may need to be lubricated. If there are clearly indicated oil ports, follow the manufacturer’s instructions to oil the machines correctly. Short cycling occurs when an electric heater turns on and off repeatedly over a short period. The most likely cause of this issue is a dirty filter. Clean or replace your filter, then check to see if the unit is operating properly. The second cause of short cycling is a poorly lubricated or dirty blower motor and assembly. If the equipment has clearly marked oil ports, you may be able to clean and lubricate them on your own. However, if these parts are hard to reach or you lack clear instructions in your owner’s manual, you may need to call a professional. A continually running electric furnace may require a simple fix or professional services, depending on the underlying issue. First, check to see whether the thermostat is set to auto or on. Second, make sure the batteries are still good if you have a digital thermostat. These are some of the most common simple causes of an electric furnace not working and could save you a service call. There are more complicated causes such as burned off wiring, a burned element, or a part called the sequencer. 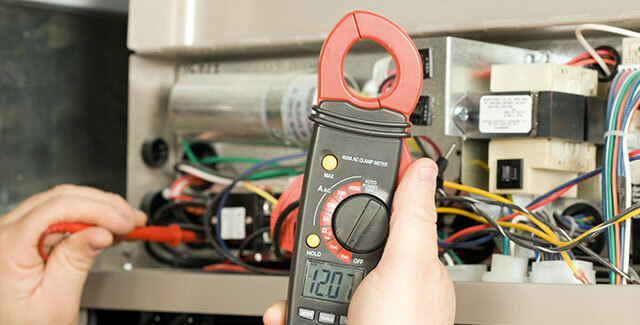 It is usually best to call an HVAC Expert to test these parts as it becomes more complicated and it is high voltage. Your electric furnace operates very similarly to a gas furnace. With the exception of heat generation, they work exactly the same: heat is produced after a call from a thermostat, then blown out through ducts with the help of a fan. In electric units, a series of coils generates the heat, while in gas furnaces a flame and gas will do the trick. One problem particular to electric units is the heat sequencer. The sequencer is responsible for turning on the heating coils in sequence, depending on how much heat the thermostat calls for. And although the sequencer is crucial to any electric unit, it frequently malfunctions. An expert might test the heat sequencer by taking an electric test meter, terminating the connection from the wires to the coil terminals, and calculating the resistance of the coil. A nonstandard reading of 0 or much higher than 20 ohms would tell an expert that the sequencer has malfunctioned and needs to be replaced. Proactive maintenance goes a long way toward keeping your electric furnace from breaking down again. Follow these tips to keep your heating system in top shape. Keeping your unit clean improves efficiency and reduces energy consumption. Replace or clean the furnace filter at the beginning of the heating season, and at least once a month while the unit is in regular use. Replace clogged filters regardless of how long ago the last change took place. Before the heating season begins, clean the blower and fan thoroughly. Use a dry toothbrush to clean stubborn dust from the fan blades and the spaces between them. Squirrel-cage fans are especially prone to dust and dirt buildup. If the power cord isn’t long enough to slide the fan out of the unit, you may need to disconnect wires. Mark them so you can rewire the unit when finished. Next, use vacuum attachments to remove loosened dirt from the blower assembly, blower motor, pulleys, and fan. Keeping these areas dirt-free extends the life of your heating system and reduces the need for professional furnace repair. Thanks to the laws of physical science, friction plays a big part in the wear and tear on your heating unit. Sealed blowers and motors are permanently lubricated and don’t require extra attention. However, a motor or blower that has covered oil ports should be lubricated yearly. Use two or three drops of 10-weight, non-detergent oil (Zoom spout oiler or turbine oil work well) per port. Be careful not to overdo it. You should also note that all-purpose oil or 3-in-1 oil is not recommended for this use. Some blowers have grease cups instead of oil ports. You can purchase bearing lubricant from your local hardware or automotive store to fill each cup. While cleaning and oiling your electric furnace, take the time to check the blower and motor belts. Look for frayed or worn spots, and replace the belts if necessary. You may need a wrench to do some minor disassembly to get the new belt into place. Always shut off circuit breakers and unplug any electrical connections before attempting furnace repair or maintenance. It isn’t safe to replace burned out wiring, damaged heating elements or faulty transformers or power relays on your own. 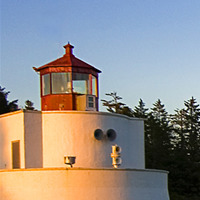 Instead, get in touch with an expert to assist you. My dead furnace was up and running in an hour! My furnace stopped working on a cold winter day. [â€¦]My technician led me through troubleshooting the problem and we narrowed it down to a bad thermostat. It was a great experience and saved me a lot of money! Coleman Evcon gas furnace will not ignite. What can I troubleshoot before calling a technician? Why does my electric furnace blow cold air instead of warm? Troubleshoot Goodman electric furnace. It does not turn off. I have a Goodman electric furnace. It will not turn off when the thermostat is satisfied. I had a technician out and he suggested to replace the digital control board. The part was ordered, and he came out and replaced it, but the problem still persists. He said it could be another bad board... What are we missing here? Why is my electric furnace not heating enough? Electric furnace putting out barely-warm air instead of hot air. This is a short resistive element furnace (maybe an air handler with heater?) in a 1991 or so Oakwood mobile home. I have an 18 KW-240V Nortron electric furnace with attached central air. For the past few years, there has been a problem with the fan control. There are two main symptoms. #1 - you cannot turn the fan on at the thermostat. #2 - the fan shuts off prematurely when the central air is running (resulting in a frozen unit). I now turn on the fan to 'continuous' using the switch on the furnace itself (the summer switch is on 'heating'). The schematic shows a 24V and 240V transformer and several sequencers. Could one of these parts be blown?